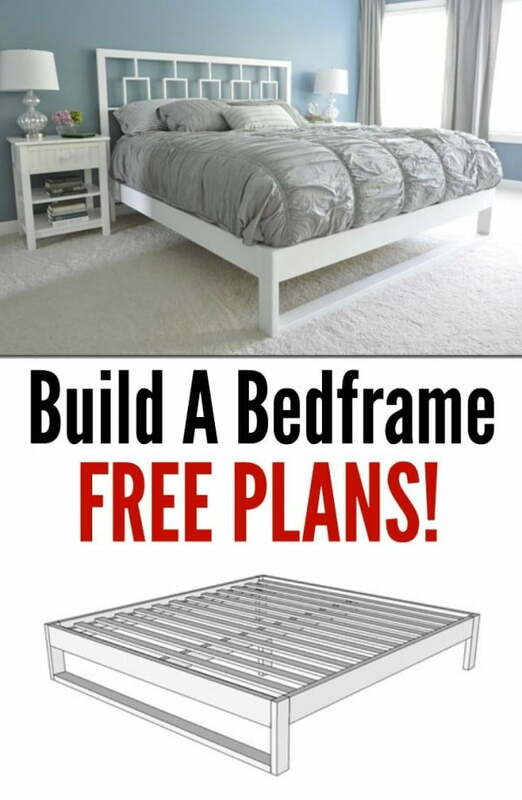 Looking to save on building your own bed frame? Check out these 45 easy tutorials that will help you build one and decorate your bedroom at the same time. Building your own bed can be a fun and cost-effective way to outfit the bedroom. This approach adds appeal, a personal touch and saves you money. Whether your bedroom is a small cozy retreat or a large luxury suite, it has never been easier to learn the basics of building a stylish, functional bed. With a wide variety of specialized tutorials from which to choose, you can even include a few extras like storage space or headboard. A comfy bed allows you to enjoy a peaceful slumber in pure comfort. The choice of design showcases your individual style. Since the bed is the focal point of the room, you need to go for a design that boosts aesthetic appeal. 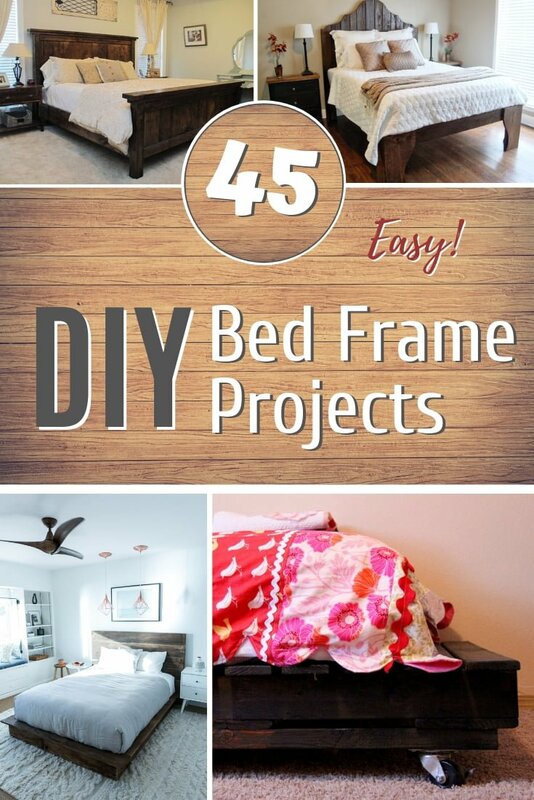 Here are 45 relatively easy DIY projects that will help you make your own bed frame. The Pottery Barn farmhouse bed is synonymous with quality and timeless style. 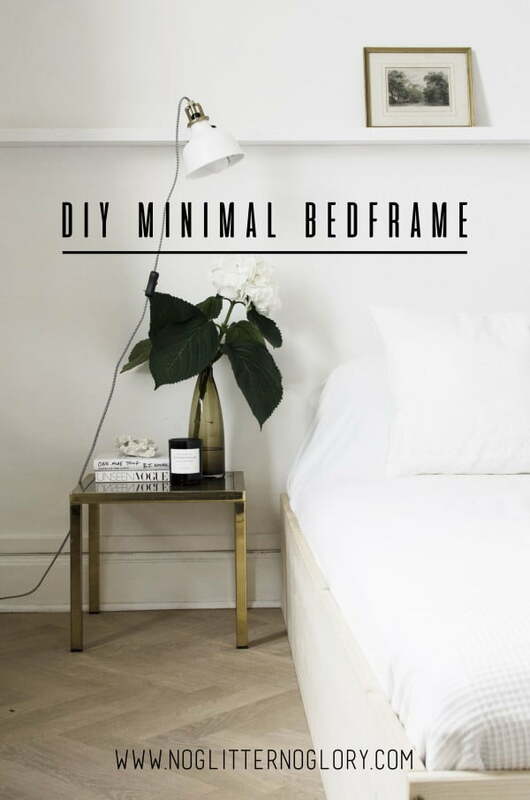 With this DIY bed project, you can create a stylish retreat that features a classic-style DIY headboard. Check out the tutorial to see how you can build it yourself. The reclaimed wood platform bed provide more open space underneath since it does not feature a box spring unit. This creates more room for a built-in storage system. The tutorial will show you how to build it yourself exactly. 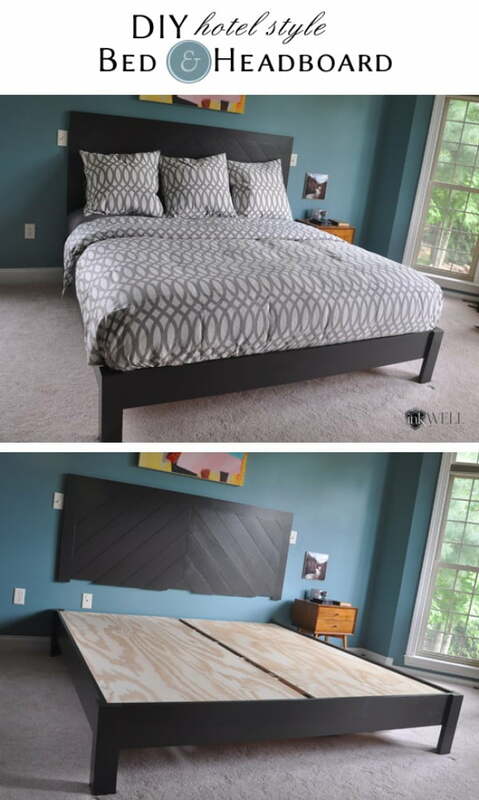 This headboard and bed frame project enables you to create a masterpiece using ordinary tools. The frame features solid panels for stability. The headboard presents an opportunity to showcase your creativity and eye for detail. The tutorial will give you the complete instructions on how to build it. This project gives you an opportunity to build a sturdy and functional bed without compromising on comfort. 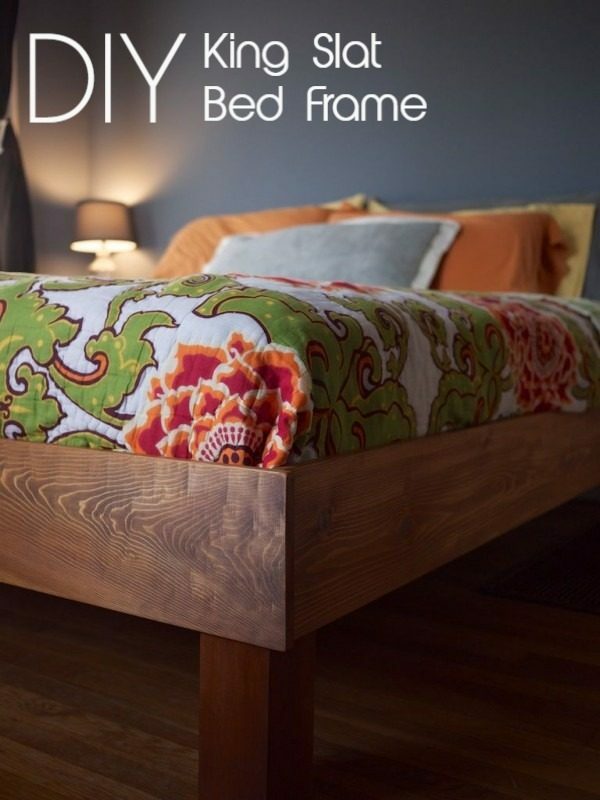 The unit makes it easier to incorporate a stylish headboard using reclaimed wood, which adds character to any bedroom. The best part is the project does not cost a fortune. Check out the tutorial for complete details on how to do it. Platform beds eliminate the need for box springs. Instead, they feature a built-in base that incorporates a solid panel or a slat support system. You can choose a light or bolder finishing for this project. Lighter finishes like sand, natural and maple infuse an interesting splash of color. 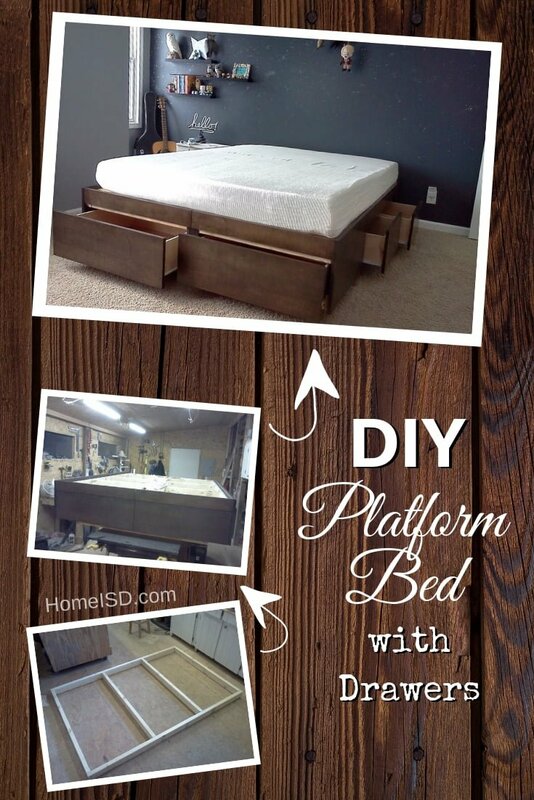 Check out the tutorial to see how to build this platform bed. A platform bed comes with a classic style that is popular with many. Adding drawers to the unit is a sure-fire way to boost functionality and add more visual elements. These types of beds are typically low, which translates to a cooler sleep when compared to traditional designs. This tutorial will give you the complete instructions on how to build it the easy way. A mid-century inspired DIY bed provides a viable way to transform your bedroom at an affordable price. With a wide variety of plans from which to choose, you are sure spoiled for choice. The bed can complement both classic or contemporary decor for an eye-catching appearance. Check out the tutorial if you’re interested in this project. 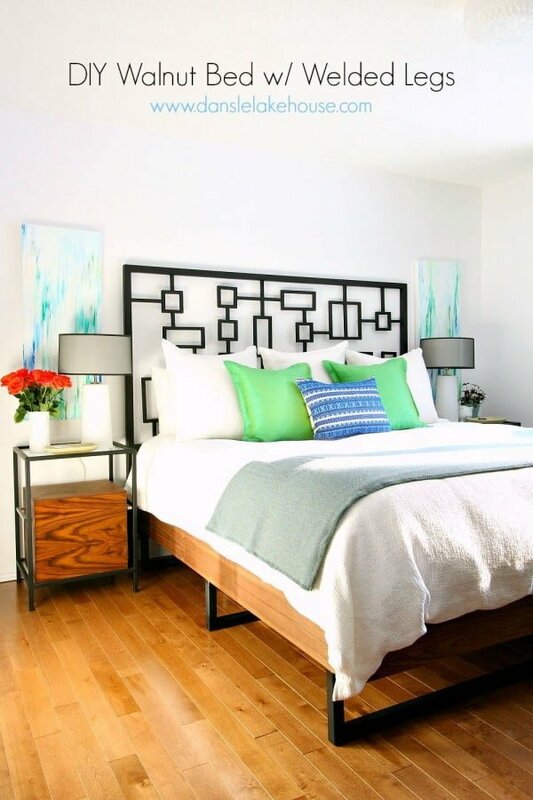 This DIY bed project requires the use of tongue and groove pattern stock boards. It presents a fascinating opportunity to create a seamless panel that is highly functional and looks compact. You can work your magic to ensure that the groove detail creates a visual illusion of thinner boards. Follow the tutorial for complete instructions. King size beds with slatted bases have a variety of upsides, such as balanced support and superior comfort. You can also take advantage of those extra inches in width and length for a cozy night sleep. Slatted bases provide ventilation to any mattress. Follow the tutorial for all the details on how to build this bed yourself. The Herringbone bed can be crafted using fine veneers and oak for a perfect finish. You can also incorporate mitered frames and close-set hardwood panels. To ensure exceptional workmanship, hand-piece the veneers. Doing so allows you to blend contrasting and complementary textures. Check out the tutorial for complete instructions and the exact steps on how to build it at home. A well-designed king size bed can provide the much-needed coziness factor. The unit can be tailor-made to match the theme of your bedroom decor. It provides equal parts comfort, luxurious feel and optimal functional benefits. Follow the tutorial for the instructions. A farmhouse-style bed can be customized to suit your individual style. The unit can work well with a curved headboard for a more elegant look. 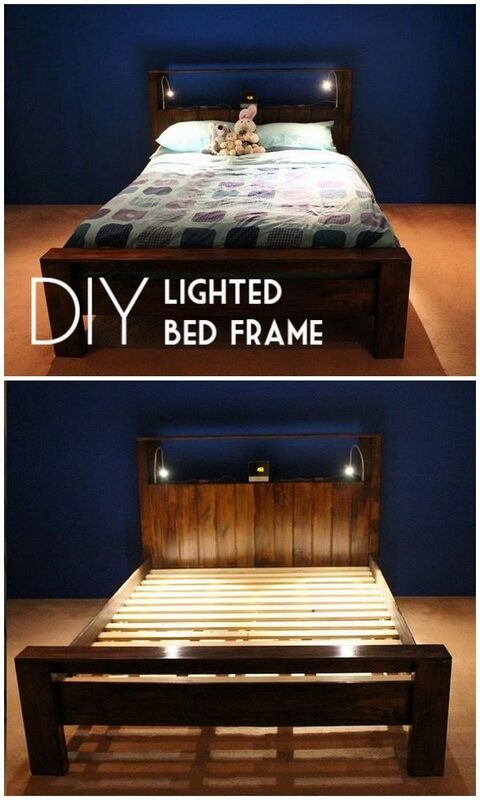 This DIY bed project does not require any special tools. It is simple and affordable. 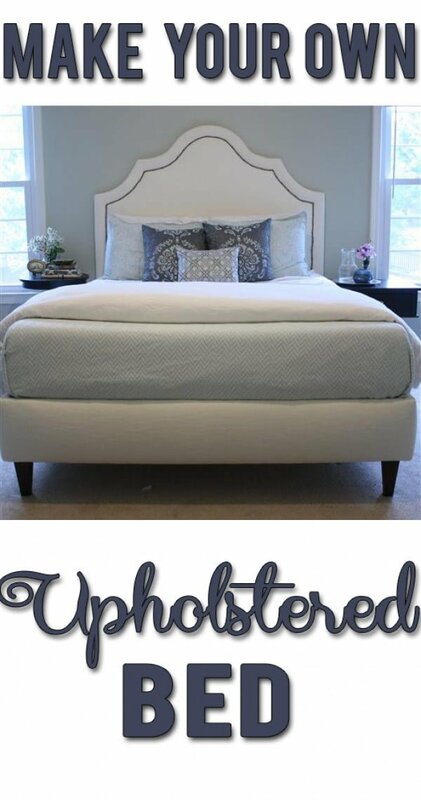 Modern upholstered platform beds are a fabulous choice for any do-it-yourself bed project. They are synonymous with sleek, contemporary styling. You can build your own bed that blends straight lines and corners to add a contemporary twist to the decor. Check out the tutorial for the full story. Platform beds come with a variety of functional benefits. They are known to provide reliable support and are sturdy. Each unit is raised high enough to make space for storage cabinets underneath the bed. 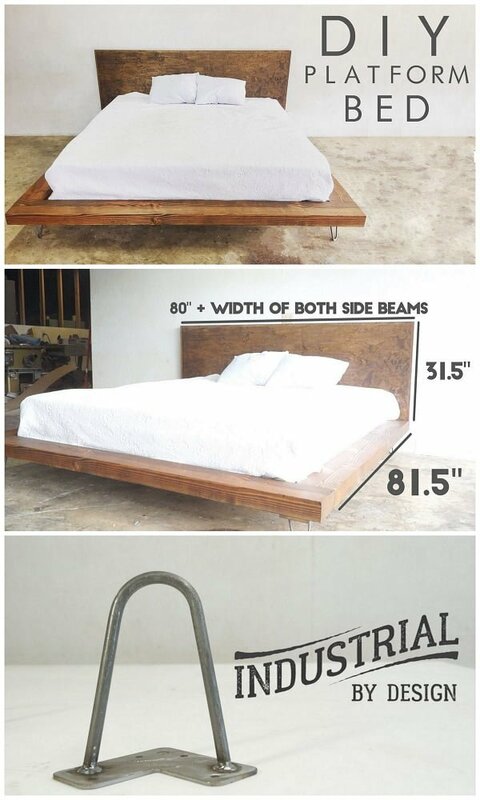 Follow the tutorial to build this bed at home. Also known as the bed of kings, the poster bed adds a classic touch to any bedroom. These units come with four vertical columns that are positioned on each corner. The columns support an upper panel (usually rectangular in shape) or a tester. In many cases, the panel or tester feature rails that are designed to pull curtains around the bed. 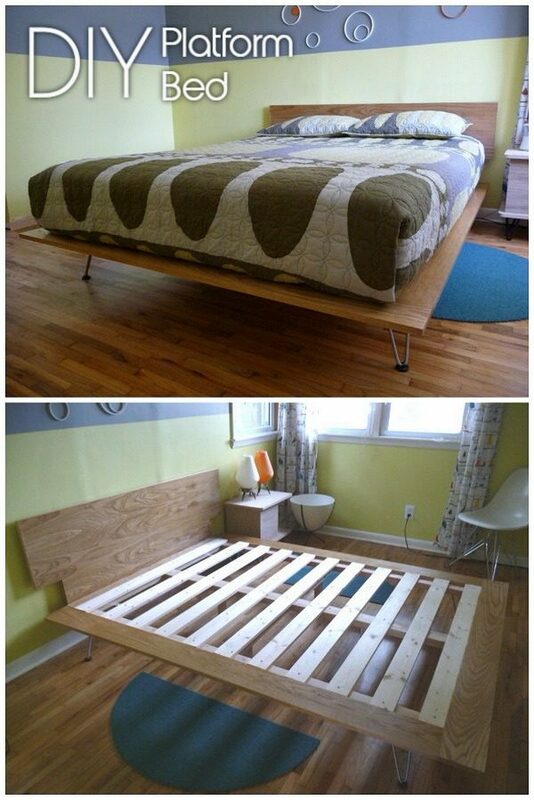 Refer to this tutorial if you wish to build this bed at home. A memory foam mattress provides a wide range of health benefits. It incorporates special technology that allows it to conform to your bodyline. The technology was introduced by NASA (National Aeronautics and Space Administration). The units are manufactured using special material that is sensitive to temperature. This DIY project requires high resiliency (HR) foam. Plywood is a cost-effective material that allows you to build a functional, sturdy bed frame and headboard. This type of wood makes it easier to create a more traditional bed capable of supporting different types of mattresses. On completion, you can add a splash of color to complement the existing decor. The material has the capacity to prolong the life of the mattress. The project is fairly simple, you just need proper measurements. Upholstered beds provide the ultimate in comfort and luxury. It comes as no surprise that they are the preferred choice for countless designers. They are suitable for different types of rooms, lifestyles and architecture. You can transform the appeal of even the most modest bedroom. Upholstered beds are known to have a lasting quality. This wooden bed frame with powerboard and lights attached to the head of the bed looks professional all the way and yet it was DIY-ed at about 1/4th of the price of similar bed frames you would get to buy on stores. 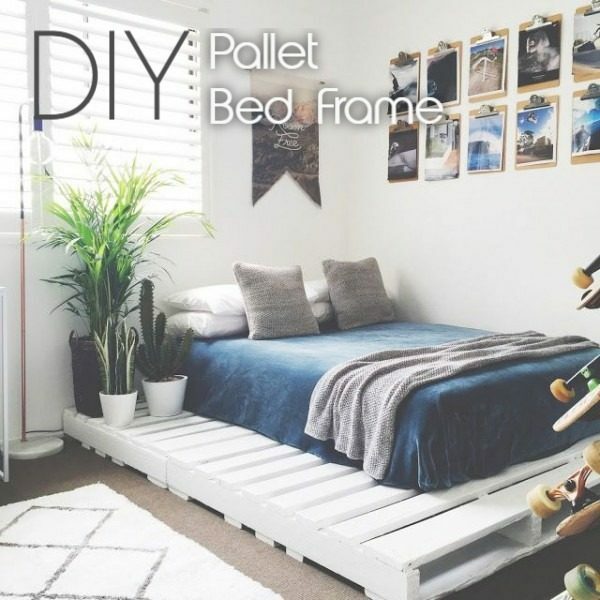 We especially love the guide for its awesome step-by-step breakdown instructions and anybody that wants to DIY his own bed frame can use this tutorial as a primer. 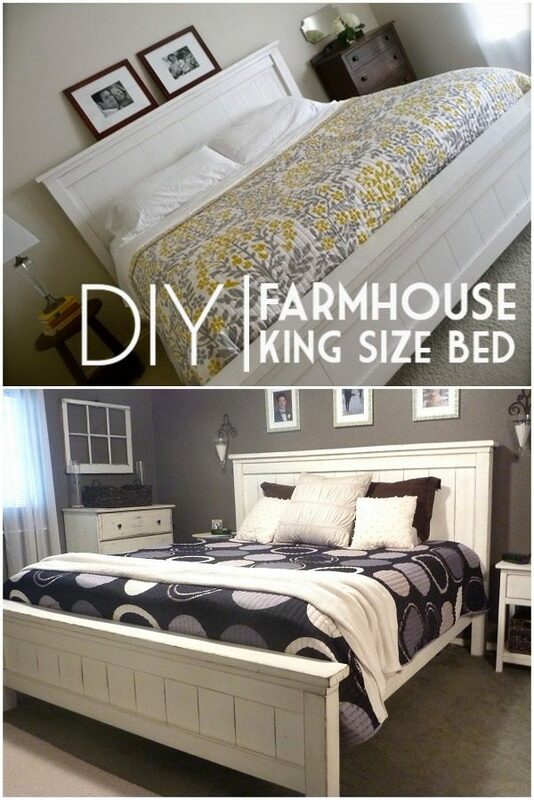 This tutorial again furnishes you with all the instructions (plus diagrams) you need to know when you plan the headboard and footboard of your farmhouse King Bed (other parts are covered in the complementary Queen Bed tutorial). The author has also posted a number of photos of beds that others have prepared following this tutorial. Check them out for all the motivation you need! 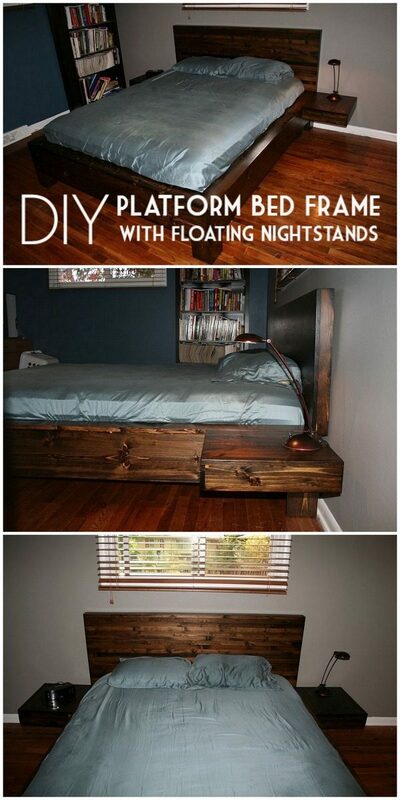 This sturdy sunken platform bed looks awesome in itself, but that floating nightstand adds that extra fizz to it. And perhaps the most encouraging part of it is that the author admits right away that she is not too comfortable with her carpentry skills. Just in case you were doubting yourself! 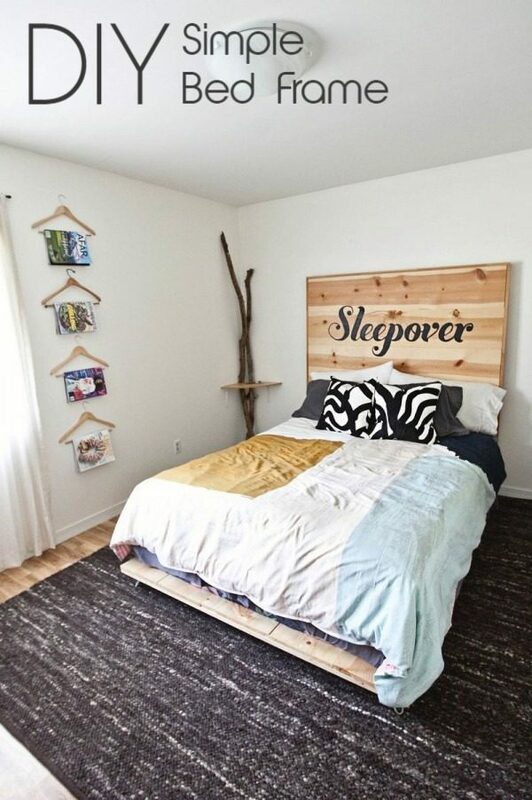 Who wouldn’t love this giant wooden headboard? The tutorial however actually shows you how to build the bed frame (for the head, you can check the second part). This one is a wood frame supported by nine metallic legs. We like the simple and elegant look of this bed and the fact that it can be built quickly and inexpensively. Read through the tutorial and you will find that the frame, apart from looking good, is also sturdy enough. 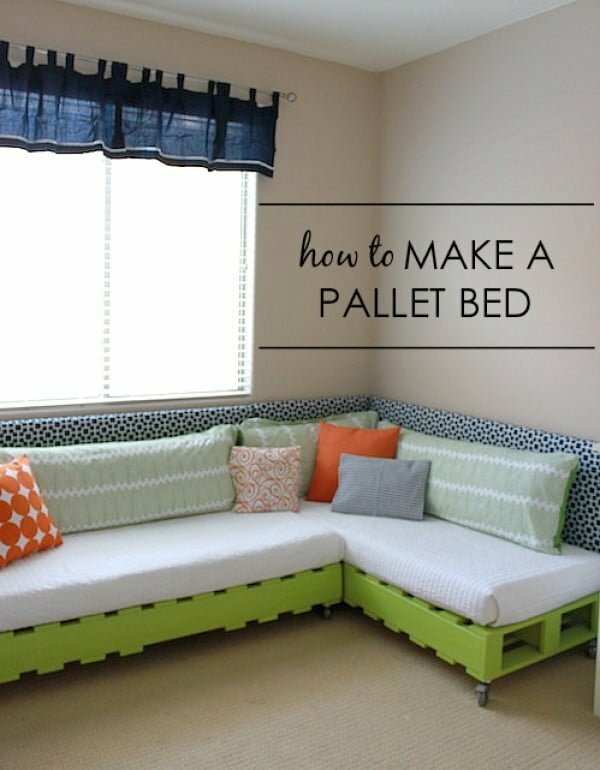 If you have toddlers and don’t want bunks for them, this pallet bed tutorial would be of great help. Made with pre-cut boards, it does not involve too much work and with the IKEA mattress, the end result looks pretty awesome. If you don’t want to go for a wooden bed frame and will instead prefer an industrial/transitional look for your bed (and also save some pretty bucks in the process), this pipe bed frame with wooden slats would be ideal for you. Check out the tutorial for details. This bed frame is an IKEA hack and is prepared by ingeniously repurposing a set of tall and doorless IKEA kitchen cabinets – and yet one would hard be hard put to believe it looking at the finished product, right? Please check out the tutorial to find how you can do this by yourself. You can forgo the headboard if you like, but the platform bed frame looks awesome and sturdy enough. Again, encouraging for all those who do not pride themselves on their woodworking skills. In addition, the author asserts that from the good start to the happy end, it took him all but 10 hours to get the job finished. 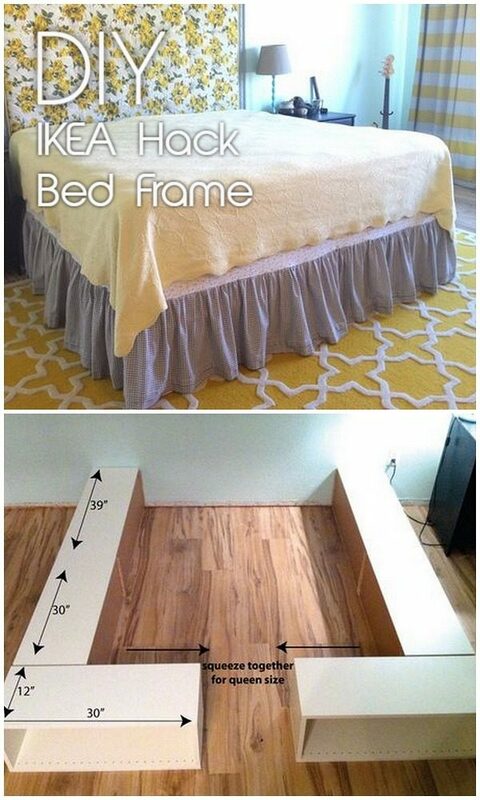 Another clear and concise guide on how to make the bed frame for a platform bed. With this one though, we absolutely love the headboard, so our suggestion would be that you don’t skip that part either. This bed frame is made from oak and white pine boards acquired from Home Depot. The Instructions are detailed enough – from drawing your designs on paper to get the whole job finished one step at a go. 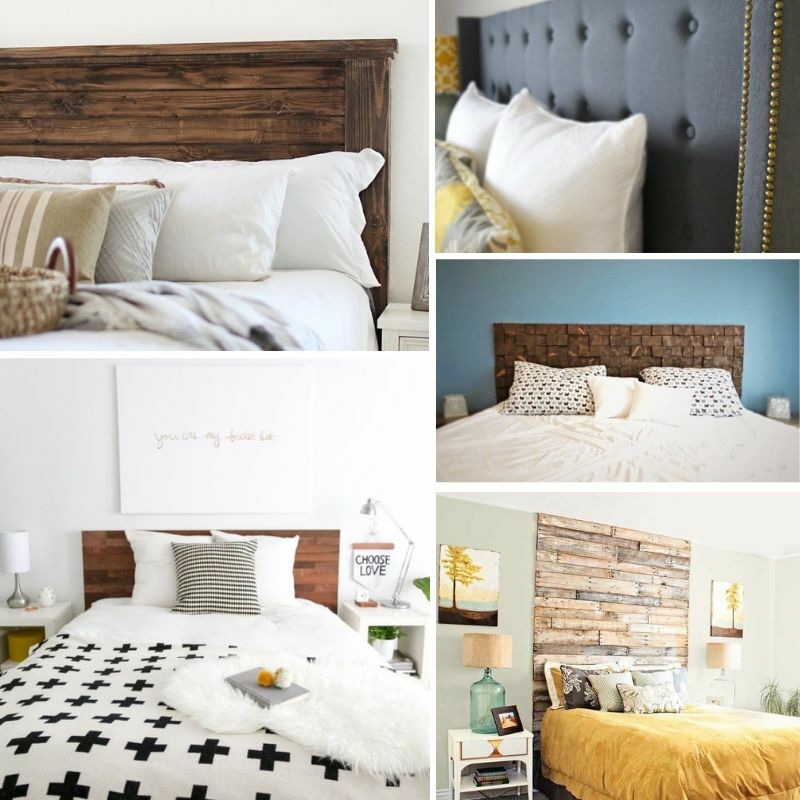 We also love the idea of the joined rustic headboard made from reclaimed pallets. This simple yet gorgeous looking bed frame (don’t confuse with the ‘Sleepover’ headboard in the picture) was prepared using pine boards only. The maker used oak for support and mounted the frame on six short hairpin legs. The latter will set you back $70, so if you want, you can use an inexpensive alternative in its place. This bed frame lies right on the floor and looks super cool in a suitable décor (such as the one we see in the photo). What we especially like about this project is how simple it is and virtually everybody should be able to make it and in little time, too. Any cedar board king slat bed of similar style and dimensions to those of this bed would set you back $500 or more if you buy it in the market. Yet, the maker completed this awesome project keeping the allover budget under $150! If that is motivation enough, please check this tutorial to find out and follow the instructions. 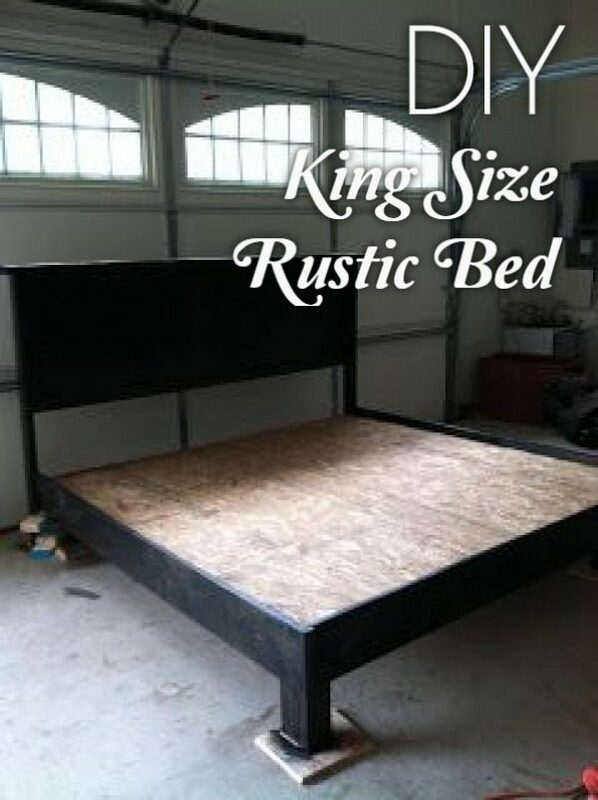 This is another pallet bed frame project which is completed in a super inexpensive budget. The four pallets used for the teen bedroom bed were bought at a total of $50 and you need to add the cost of white paint and some extras to that and voila – you get a white pallet bed frame that is big enough to sit a double mattress and you still have room enough on the sides that you can use for other purposes! This again sits right on the floor and is ideal for all minimalist décors. This would also be right for fitting in relatively smaller spaces. 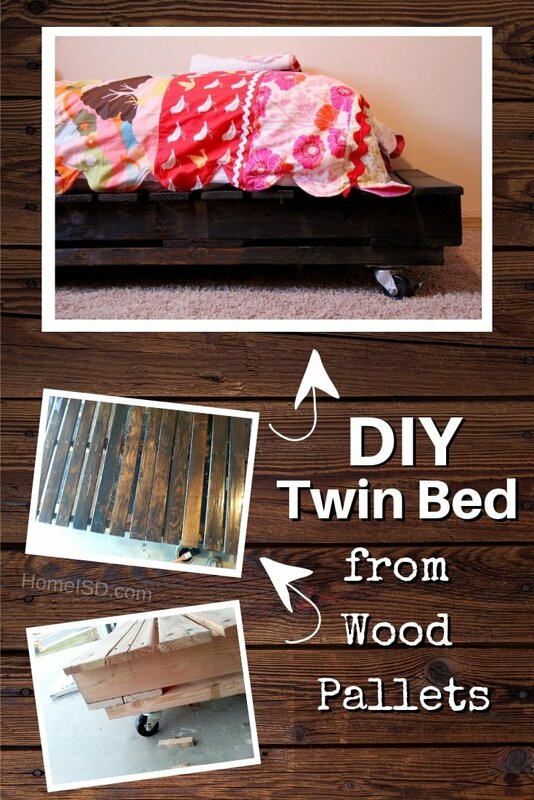 Check out the tutorial to learn how to make this pine wood beam bed frame all by yourself. This one uses pine boards and wooden legs to prepare the bed frame. We like the upholstering idea, although you may drop it if you want. Follow this part one tutorial to find how to make the bed frame itself and if you’ll like to upholster, you may check the part two of the guide. This low-lying platform bed is ideal for all low-ceiling places and you will love the attached headboard idea for the way it adds just that right accent to this low bed frame. 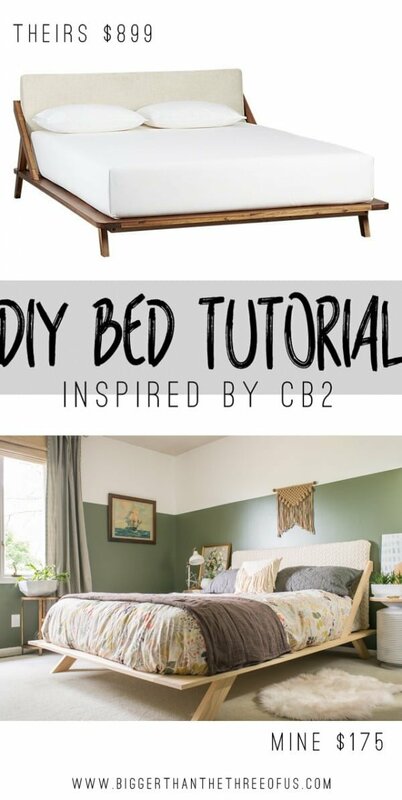 Check this great DIY guide to find the instructions as also to look at the pictures of all the bed frames made by other DIY enthusiasts following this very guide. 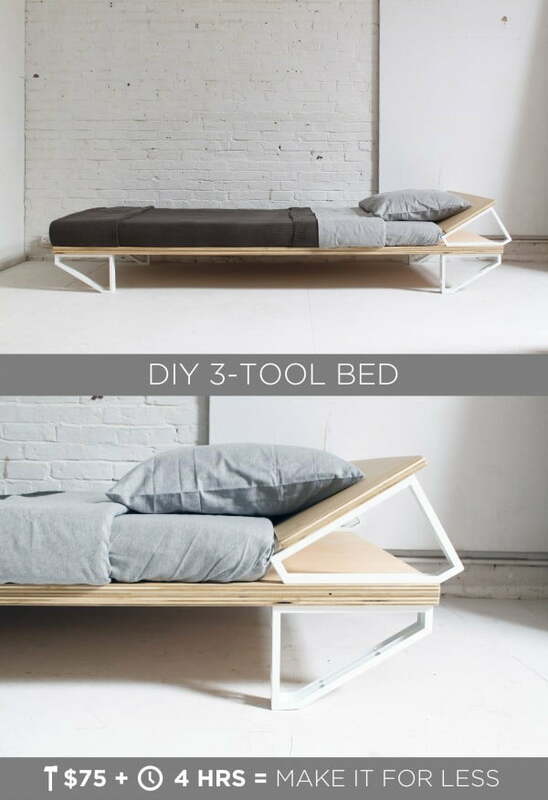 As the name implies, this simple plywood bed frame was made using no more than three tools! Plus it will take you no more than four hours to make the frame and the costs will stay under $70. 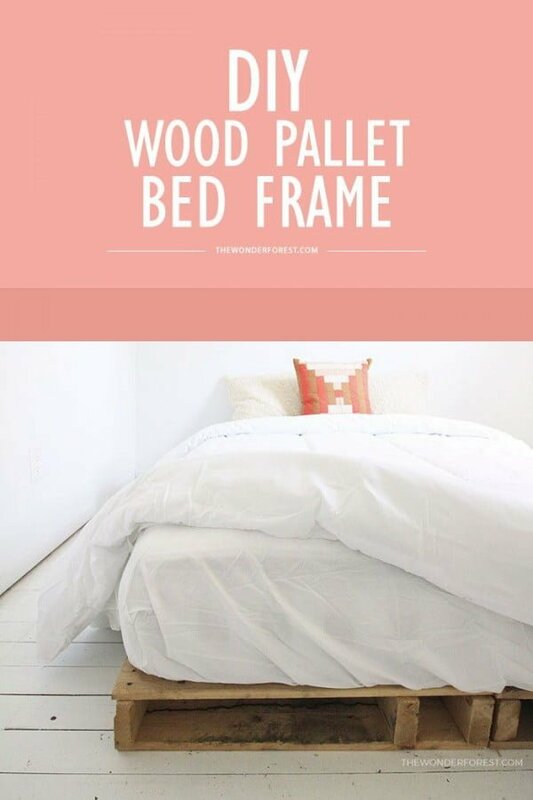 If you are looking for a quick & inexpensive DIY bed frame project, this is it! This one uses walnut plywood to make this awesome bed frame with welded legs. Will fit right in with all wood/chocolate/walnut themed décor. We also like the not so common welded legs idea. 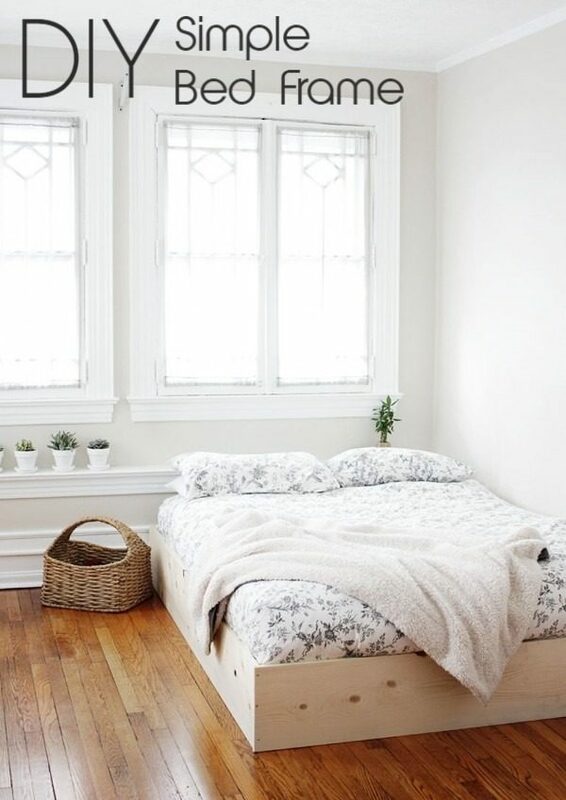 We absolutely adore the neat and minimalist look of this bed frame. This is a fun design with the attached headboard and the hairpin legs. Check the photos, instructions as well as the video to learn how you can complete this project yourself. 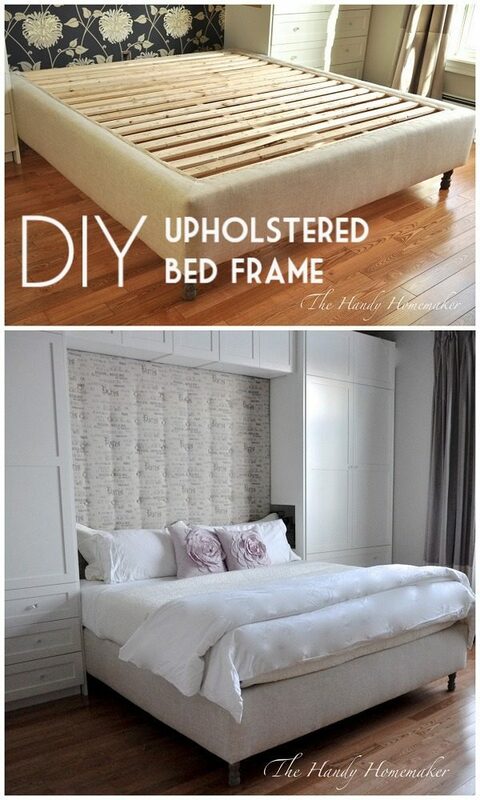 Another great tutorial for anyone looking to make a bed frame which will be used without any box spring. Follow the tutorial to learn everything you want to know about choosing the right kind of ply, places to buy it and finally, how to put them all together! This rustic looking pallet bed frame will get right in with any bohemian décor. We love the simplicity of the idea and the fact that you can complete the project at a very low cost, indeed. The real challenge seems to be to find the right wood pallets that would be repurposed for the bed. As long as you do that, you will be fine we reckon! This project again uses hairpin legs for this low-lying platform bed frame. The maker of this bed admits that this was his first ever woodwork project, so this we guess will be encouraging for all you first-timers out there! Please follow the tutorial to learn more. 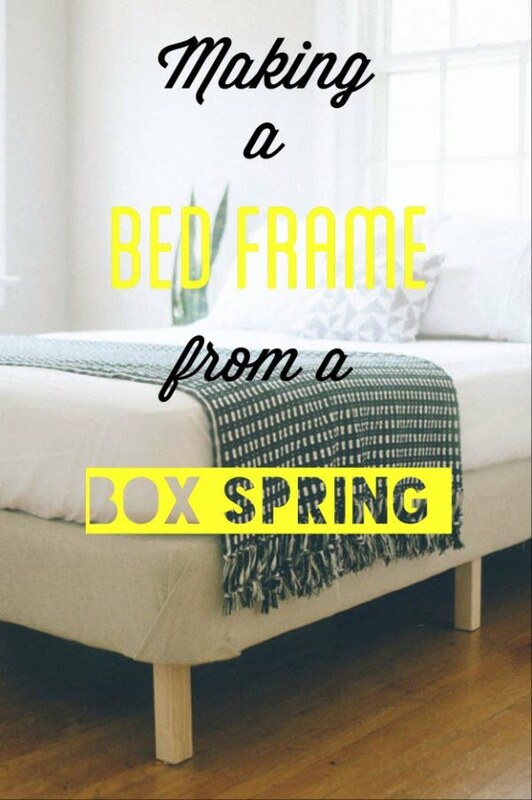 How about repurposing your old box spring and mattress to get a brand new bed frame!? This is what is done in this project and the finished product looks neat and elegant enough with its wooden legs. And all of this done in a meager budget only! Check the tutorial to learn how.